Worried about your sensitive data? Hard drives are triaged as soon as they are dropped off for a donation. They are then put into our 12 bay Aleratec Secure wiping system for a Secure Erase or Overwrite Sanitization. Hard drives are then segregated and locked away in secure storage until it is needed for a computer. Drives that are no longer usable are then crushed in our PD-4 Destroyer and sent to EPRA for recycling. Responsible organizations and individuals understand that the sensitive, private data on their disposed or redeployed hard disk drives are vulnerable if those drives are not properly sanitized. The 1:11 HDD Copy Cruiser IDE/SATA satisfies these efforts by offering overwrite sanitization, up to and including DoD recommended levels, as well as Secure Erase. Secure Erase is a National Institute of Standards and Technology 800-88 accepted technique for properly purging hard drives. This method is supported by almost all modern SATA, and some IDE, hard disk drives. 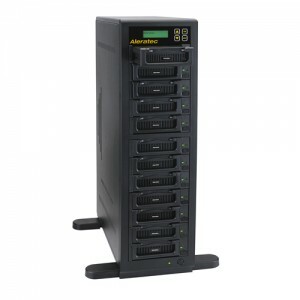 It can also securely wipe all the data from up to twelve hard disk drives at a time with Secure Erase or a choice of three comprehensive sanitization algorithms: a one-pass wipe, a three-pass wipe with verify, or a powerful seven-pass wipe as recommended by the Department of Defense 5220.22-M specification. The PD-4 physically destroys hard drives by bending, breaking, and mangling the hard drive and its internal components—including the data platters. Using a rugged stainless-steel crushing wedge, the PD-4 bends the data platters preventing the hard drive from “spinning up” or for the hard disk platters from being removed and placed on a spin stand used in laboratory data recovery techniques. 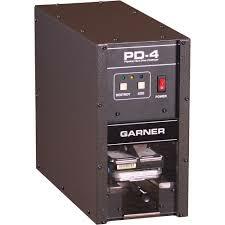 The PD-4 also cracks the hard-drive housing, breaks the PC board, and smashes the read-write heads.